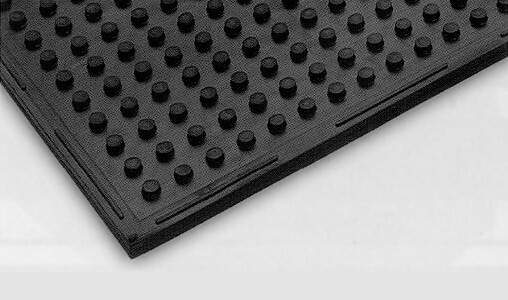 Traction Matting - Industrial Floor Matting | Mats Inc. Same high quality material and workmanship as our Multi-Mat II, #0611, except without the holes. Mat is reversible and highly resistant to grease, oils, and fats. Non-skid even in wet, greasy environment.